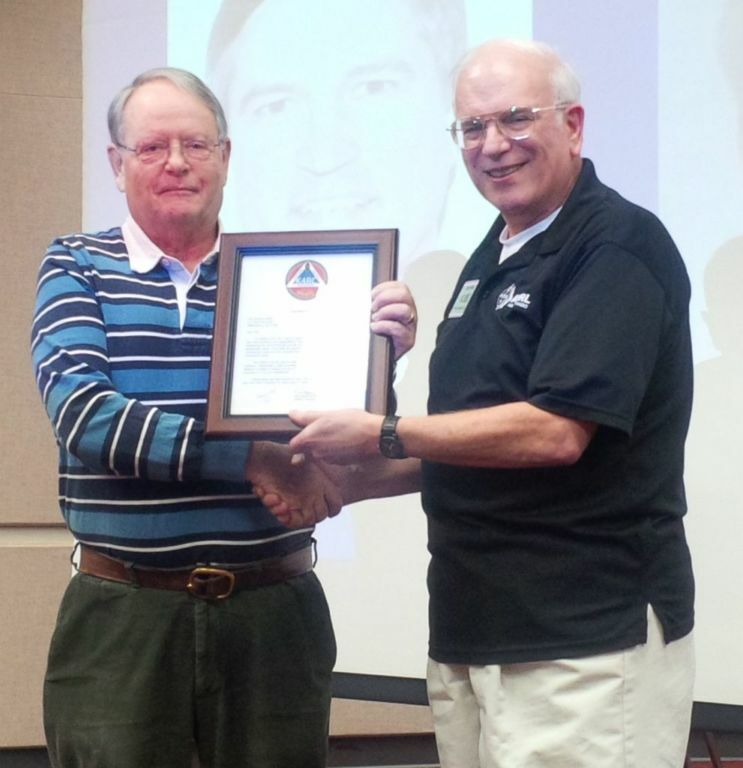 Longtime WAARC Treasurer Ted Edwards W3TB is presented a letter of appreciation by club president Dino Papas KL0S acknowledging his six years of service to the club. Ted and XYL Carol will be “TAD” for a while helping out with grandchildren. Greg Pula K3RM was elected interim Treasurer at the October meeting and has agreed to be nominated for the position during the upcoming January 2019 Annual meeting officer elections.